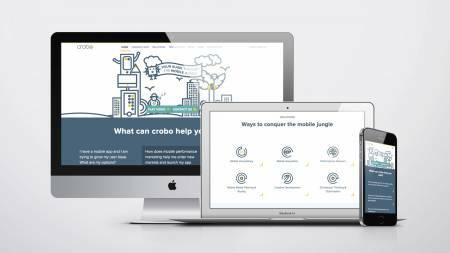 eobiont - Performance marketing made simple on the new crobo website. 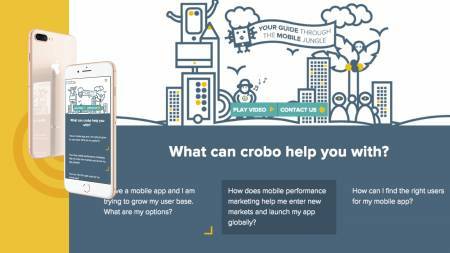 Performance marketing made simple on the new crobo website. When the performance marketing company crobo needed a new website, eobiont made transparency and understanding a priority. They were repositioned to be the authentic helpers in an industry marked by nontransparency and confusion marketing tactics. We had already developed a set of icons to help articulate their services. On the website, we could now bring these to life in a short animation that explains what they do in more detail. 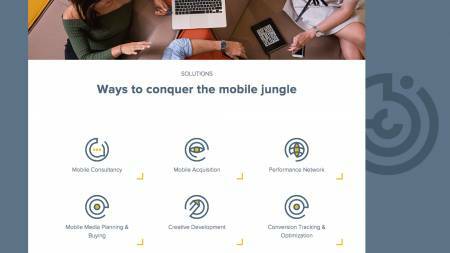 The icons become part of a digital jungle. The user is then helped through it with the crobo guide at their side. The rest of the website follows a similar didactic principle. Answers to questions or information about topics are immediately available through an interactive interface. The user is made to feel at ease and among friends rather than intimidated.